Testing and Treating Total Dissolved Solids. While salinity is generally used to describe and measure seawater or certain industrial wastes, the term “total dissolved solids” (TDS) is typically used to describe water high in various salt compounds and dissolved minerals. High TDS levels are common near coastal rivers and oceans due to seawater infiltration of groundwater sources. While one could technically have very high total dissolved solids and very low salinity, we’ll be talking here about high TDS with high levels of salts. 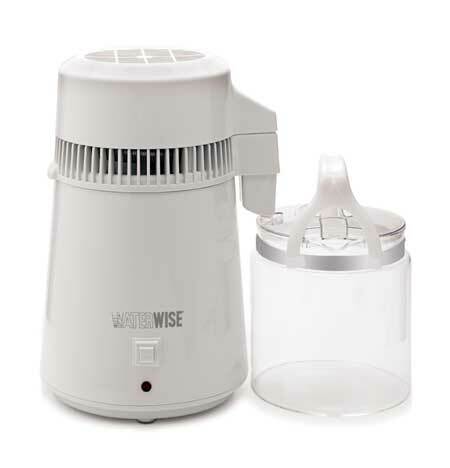 Measurements of total dissolved solids are expressed in parts per million (also known as milligrams per liter) and are determined by evaporating a small amount of water and weighing the remaining solids. Another way to approximately determine TDS is by measuring the conductivity of a water sample and converting the resistance (in micro ohms) to TDS. The higher the level of TDS, the less palatable drinking water becomes. In the U.S., TDS in municipally-treated waters generally range from 90 ppm to over 1,000 ppm. By comparison, sea water ranges from 30,000 to 40,000 ppm. The most common range for city water is 200 – 400 ppm, while the maximum contaminant level set by the EPA is 500 ppm. In our experience, it appears that folks can tolerate soft clean water with a TDS as high as 1,500 ppm for general household use. When the levels exceed 1,500 ppm, most people start to complain of dry skin, stiff laundry, and rapid corrosion of piping and fixtures. White spotting and film development on surfaces and fixtures is also common at these levels, and can be very difficult or impossible to remove. Testing for total dissolved solids is best accomplished by sending a water sample to a lab than trying to test your water at home. Our Well Test Pro kits (both I and II) include a prepaid mailer for sending us a water sample to test for TDS, as well as for tannin levels and oxidation-reduction potential. 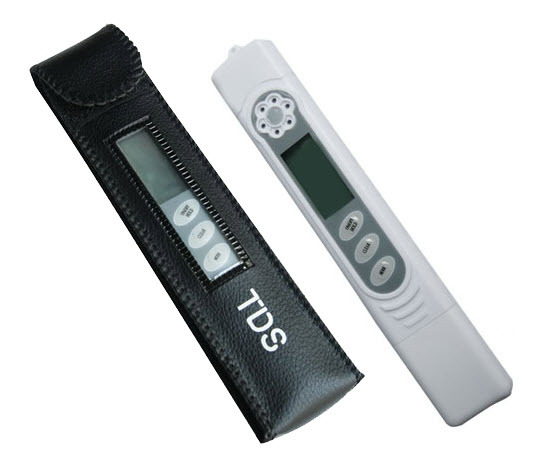 However, you can also use a TDS meter to get an idea of your water’s TDS level. TDS can be removed by distillation, reverse-osmosis or electrodialysis. Desalination projects both large and small are increasingly accomplished with reverse-osmosis systems due to their low cost and ease of use. Distillers can also work well as point-of-use systems, meaning they are installed and operating on one faucet. They’ll produce high-quality purified water, but require electricity and more maintenance than a reverse-osmosis system. Overall, commercial-sized reverse osmosis systems are the most effective solution for home treatment of brackish water. See our website for a large selection of high-quality, low-cost RO systems.